Poi trascrivo un interessante articolo di EUobserver su questa brutta vicenda. Nessuno osa dirlo esplicitamente: ma il sospetto che l'assassinio sia opera di sicari della potentissima "casta" al potere ("corte" dello zar Putin) è pressoché unanime. Ma l'assassinio potrebbe essere stato ordito anche da estremisti ucraini filo-russi, dato che Nemtsov stava da tempo denunciando gli abusi russi in Ucraina, soprattutto l'infiltrazione in territorio ucraino di truppe regolari russe (oltre che il rifornimento di armi – anche pesanti! – ai "secessionisti" filorussi). [*]Russia, i leader del mondo condannano l'omicidio di Nemtsov. Mattarella: "Brutale assassinio"
15 ore fa - Russia, il leader dell'opposizione Boris Nemzov assassinato in un agguato ... Boris Nemtsov durante un convegno dell'opposizione a Mosca. has prompted strong statements from some EU capitals and the US. 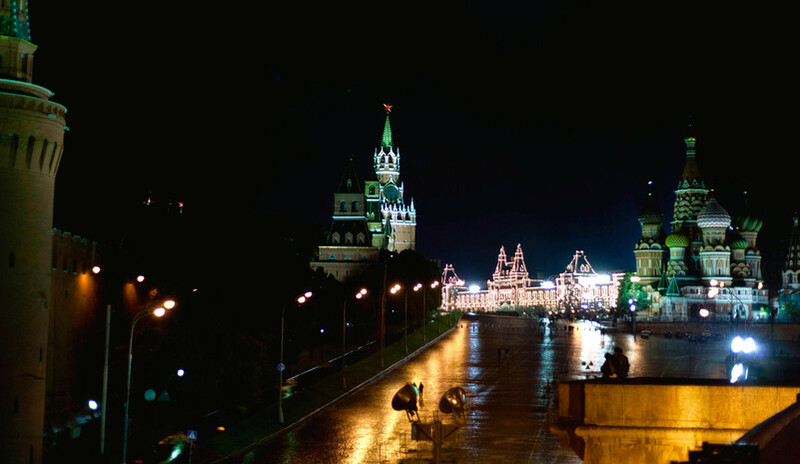 Russian state media said he was shot four times at around 11.15pm local time on Friday (27 February) on the Bolshoy Moskvoretsky bridge, a stone’s throw from the Kremlin, by an “unknown assailant” in a white car. They said president Vladimir Putin was “immediately informed” and has launched an inquest which he will “personally head”. They also said police were conducting a manhunt. The killing of the 55-year old politician, a former deputy prime minister and a father of four, came shortly after he’d spoken on the independent Ekho Moskvy radio station, urging people to join a rally, on 1 March, against the war in Ukraine. The first EU reaction came in a tweet by the foreign minister of Latvia, which currently holds the EU presidency. “Horrible news … condolences to family, Russia must conduct swift, non-partial investigation, provide answers”, Edgars Rinkevics said. Zygimantas Pavilionis, Lithuania’s ambassador to the US, was more strident. “Time 4Russian people 2wake up & defend their dignity. #Putinkiller preparing Russia 4totalitarian rule. Road 2hell. RIP Nemtsov”, his tweet said. For his part, US president Barack Obama echoed Latvia's plea, calling for "a prompt, impartial, and transparent investigation into the circumstances of his murder". He described Nemtsov as "a tireless advocate for his country, seeking for his fellow Russian citizens the rights to which all people are entitled". Inside Russia fellow opposition activists pointed the finger at the authorities or their supporters. 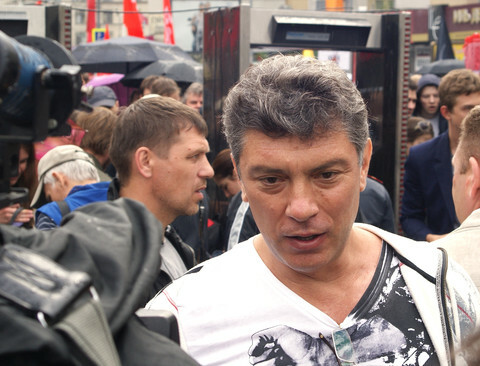 “Nemtsov … criticised the most important state officials in our country, including president Vladimir Putin. As we have seen, such criticism in Russia is dangerous for one's life”, Ilya Yashin told Ekho Moskvy. Nemtsov’s lawyer, Vadim Prokhorov, told Kommersant, a liberal daily: “I'm sure that this has a political motive, and that the murder could have been committed by someone returning from the conflict zone in south-eastern Ukraine”. According to Reuters, Mikhail Kasyanov, a former Russian PM, told reporters at the scene of the crime: "That a leader of the opposition could be shot beside the walls of the Kremlin is beyond imagination. There can be only one version: that he was shot for telling the truth”. The Kremlin also described the murder as political, but hinted that the motive is to create instability. "Putin noted that the violent murder bears the marks of a contract killing and is purely provocative," Putin’s spokesman, Dmitry Peskov, told the Tass news agency, a state mouthpiece. 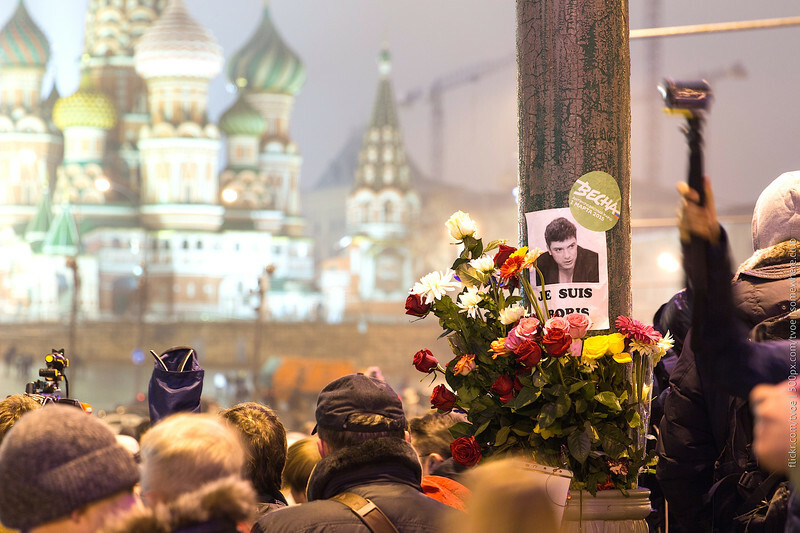 The Nemtsov killing is the latest in a series of high-profile murders of anti-corruption activists, human rights campaigners, and Kremlin critics under Putin’s leadership. The list includes, but is not limited to, Alexei Devotchenko, Natalia Estemirova, Alexander Litvinenko (killed in the UK), Sergei Magnitsky, Stanislav Markelov, and Anna Politkovskaya. The responsible persons have not been brought to justice in any of the cases. The EU and US have imposed sanctions on Russia over its invasion of Ukraine. The US has also imposed separate sanctions over the Magnitsky case on human rights grounds. But the EU has refused to do so, with diplomats saying they can't prove who killed him and that they can't set a precedent of imposing blacklists for the sake of individual criminal cases overseas. Bill Browder, Magnitsky’s former employer, who is campaigning for the EU to follow suit with its own Magnitsky-linked blacklist, said: “Last night Russia entered a new and dark phase in its slide toward totalitarian dictatorship”. “I can only hope that Boris Nemtsov's legacy will ultimately bring about the democratic change in Russia he worked his whole life to achieve”. I sospetti sui mandanti dell'assassinio di Nemtsov provocano una grande manifestazione anti Putim a Mosca (con decine di migliaia di manifestanti, con cartelli e striscioni con la scritta: «Non abbiamo paura», oppure: «Putin vattene via!». Ma molti "nazionalisti" russi inondano Twitter con la frase «Gli USA hanno assassinato Nemtsov per creare instabilità in Russia». Le ipotesi che arrivano dalle autorità russe sono molteplici. Tra queste anche che ad uccidere Nemtsov sia stata proprio l'amica ucraina in compagnia della quale Nemtsov tornava a piedi dal ristorante a casa sua. Prendo ancora notizie da EUobserver.com. of an opposition leader, in the biggest show of defiance in four years. Tens of thousands of people attended a rally in Moscow to mark the murder of an opposition leader, in the biggest show of defiance in four years. Russian police put the numbers on Sunday (1 March) at 21,000, but independent Russian media and the organisers of the event said between 50,000 and 70,000 people joined it following the killing of Boris Nemtsov on Friday. People carried placards which said "I am not afraid”, “He died for the future of Russia”, and “Fight on!”. The rally saw a heavy police presence, with 50-or-so arrests on public disorder charges. It was peaceful, but some protesters yelled provocative slogans against Russian leader Vladimir Putin as they approached the Kremlin, the BBC reports, with chants of “Russia without Putin!" and "Putin, leave!”. The rally was the largest show of defiance against authorities since 2011 and dwarfed any of the tiny anti-Ukraine war events in the past year. The killing also attracted the attention of EU and US leaders and the UN, all of which have called for a full and transparent investigation. German chancellor Angela Merkel said she is “dismayed by the devious murder”. France’s Francois Hollande called it “an odious assassination”. The UK’s David Cameron called it “callous” and “despicable”. For her part, EU foreign relations chief Federica Mogherini hinted at a political motive. “He was killed just before a demonstration against the effects of the economic crisis and the conflict in Ukraine which he was organising”, she said in a statement. The US secretary of state, John Kerry, who is to meet his Russian opposite number, Sergei Lavrov, in Geneva this week also indicated he will press him for extra information. But there is little hope either that Putin’s investigators will catch the killers or that the murder will lead to political change. With the opposition pointing the finger at the authorities, Russian officials at the weekend began disseminating various other theories. They indicated Nemtsov might have been killed: by the opposition in order to discredit Putin; by Russian “ultra-nationalists”; by Islamic extremists; or by his Ukrainian girlfriend’s jealous lover. At the same time, Russian users of Twitter began flooding the social media site with accusations the US did it to stir instability. “Judging by the hundreds, if not thousands of tweets in my ‘notifications’ saying ‘USA killed Nemtsov’, it’s obvious that it’s [a] paid campaign”, Michael McFaul, the former US ambassador to Moscow wrote. “So depressing to read this”. Commenting on the weekend’s developments, Russian dissident and former chess champion, Garry Kasparov, who lives in the US, told Reuters: “I see no chance for Russia now to move from Putin's brutal dictatorship into something that will be even [as] mild as we had 10 years ago”. Gennady Gudkov, another opposition activist, said that if Putin doesn't stop his “campaign of hate” against critics “then we face the prospect of mass civil conflict”. For his part, Mark Galeotti, a leading US scholar on Russia, noted: “Numbers [the turnout at the rally] were good. But one could feel that it was shock and horror, rather than hope, or initiative, that brought people out”. Galeotti wrote in his blog that his “working hypothesis is that Nemtsov was killed by some murderous mavericks, not government agents, nor opposition fanatics”. But he said Putin’s nationalist propaganda created the political and psychological climate which led to the murder. Alexander Baunov, a senior analyst at the Carnegie Moscow Center, added: “Putin will most likely try to investigate a killing that does him no favours ... but it’s more than likely that he will eventually have to stop as soon as the investigation runs into some friends or allies, or friends of the allies, or perhaps active opponents of the enemies of the state”. Erasmus ha scritto: Ma molti "nazionalisti" russi inondano Twitter con la frase «Gli USA hanno assassinato Nemtsov per creare instabilità in Russia». Di questo ne sono convinto anche io, purtroppo! «The Nemtsov killing is the latest in a series of high-profile murders of anti-corruption activists, human rights campaigners, and Kremlin critics under Putin’s leadership. Anche a me, come ad Erasmus, suona strano che tutte quelle persone, poco amiche di Putin, continuano ad avere incidenti del genere. Mi viene in mente, per associazione d'idee, l'assassinio di Giacomo Matteotti, deputato socialista rapito e ammazzato dai fascisti il 10 giugno 1924. Benché fin dal giorno dopo tutto fosse chiaro, e benché addirittura fossero stati arrestati quasi subito gli esecutori materiali del rapimento e dell'uccisione di Matteotti, tutto fu poi insabbiato e nessuno espiò le colpe! . Si arrivò addirittura alla dichiarazione del primo ministro Benito Mussolini [13 gennaio 1925] di assunzione della piena responsabilità "morale" di aver creato quel clima di violenza che era degenerato da "bastone ed olio di ricino" in assassinio. [Ma allora, il Re che ancora nominava il Capo del governo, che faceva? Dormiva sonni tranquilli? Voglio dire: dittatore arrivato al potere con metodi violenti il duce, ma anche con l'enorme complicità del Re. Anziché il ritorno al rispetto dello stesso Statuto Albertino quell'orribile delitto portò all'idiozia dell'Aventino e quindi al definitivo consolidamento del "regime fascista" ... e addio per sempre a nuove elezioni, addio alla libera nomina regia del capo di governo, addio alla pur minima possibilità di libera espressione delle proprie idee! Il duce è andato al potere nel '22. ma la vera piena dittatura è incominciata proprio nel '24. Naturalmente ora a Mosca le cose sono ben diverse. Tuttavia, la coppia Medvedev/Putin (con Medvedev ex capo Gazprom, poi Presidente della Repubblica ed ora Primo Ministro; e con Putin inventore della Gazprom privatizzata, prima Presidente della Repubblica, che si circonda di opportuna corte in combutta con la Gazprom di Medvedev, poi Primo Ministro con Medvedev Presidente della Repubblica ed ora Presidente lui e Primo Ministro Medvedev) mi pare evidentemente significativa, e capace di qualsiasi tramaccio che la conservazione del potere le facesse apparire pressoché indispensabile. [Assassinio politico compreso]. La prima reazione governativa è stata che «Nemtsov non costituiva minaccia perché era di scarsa importanza». Già: era di scarsa importanza perché messo volutamente in disparte dal "regime" di Putin che prima aveva tentato di usarlo in suo favore sfruttandone opportunamente la popolarità e la stima della gente comune. Messo in disparte perché ha rifiutato i vantaggi offertigli in cambio della partecipazione alla corruzione! Insomma: ci vedo tante cose analoghe al meccanismo fascista di marcia verso la totale dittatura.